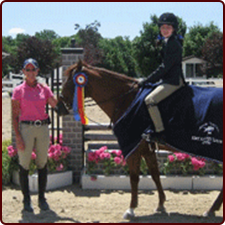 If you are searching for premier horse and rider training and show stables in the Midwest, visit Long Grove Farms. In business since 1989, we are a comprehensive horse training facility that trains both horses and competitors for A-rated shows across a spectrum of disciplines. 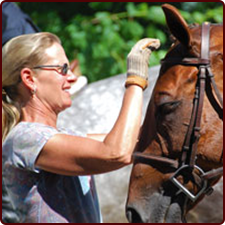 Our goal is to provide a luxurious setting for riders of all levels to enjoy their sport, and for horses and their co-riders to work together in a comfortable, safe, and friendly environment. Besides offering professional equestrian lessons, we also board, sell, and lease competitive horses. When you work with us, all animals, as well as clients, receive nothing but the highest quality of care and service. Contact us today for more information. Located on 40 spectacular acres of rolling countryside in Kildeer, Illinois, Long Grove Farms is a beautiful privately-owned riding stable. Our owners, Shari and Mike Brickman, are both accomplished riders who have been involved in the horse business their entire lives. 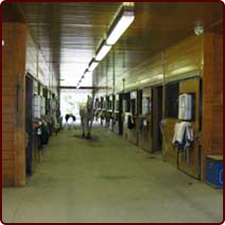 Their state-of-the-art hunter/jumper facility is one of the best horse and rider training stables in the Midwest. 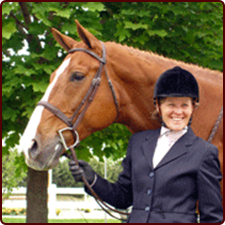 Shari and Mike also breed, raise, and race thoroughbreds, and they have been well-known and respected in the racing world for more than 30 years. We are located 35 miles north of Chicago, 30 minutes from O'Hare International Airport, and 15 minutes from Arlington Park Racetrack.